Is it unbearably hot where you are? Escape that heat by heading up to 6,700′! Beautiful summer weather is in store for Big Bear Lake this coming week with weekend highs in the 70’s° with just a slight chance of those amazing afternoon thunderstorms. YES, I said the 70’s!! Perfect weather for a late-summer escape with the family before school starts back up. Come on up and Beat the Heat!! 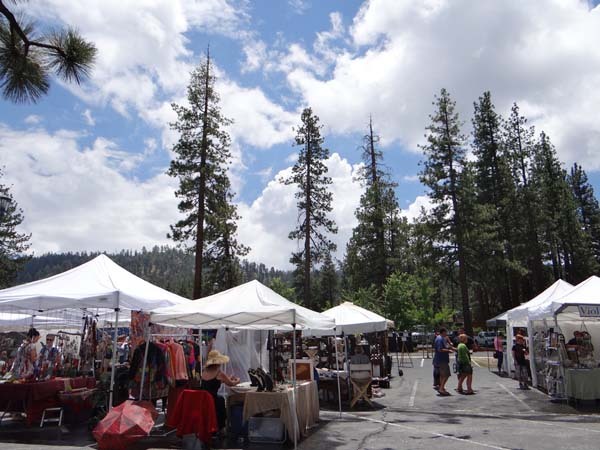 This weekend, the Antique Car Club hosts its 29th Annual Fun Run in the Big Bear Lake Village. Wander through and see dozens of gorgeous cars. The 17th Annual Renaissance Faire continues in the quaint village of Fawnskin on the north shore of the lake. Fun for the whole family awaits! Also going on this weekend is the 2nd Annual ‘Conquer the Wall’ at Snow Summit. Several other events are happening, so check out the list below! If you are planning a trip to Big Bear and are looking for that perfect ‘Home Away from Home’, look no further. RS Vacations has cabins for two, cabins for sixteen, and everything in between. Head on over to RSVacations.net and take a look. We have easy online booking and are always available to answer your questions. Book your Big Bear Vacation Home today! There are a great many unique shops and restaurants to experience here in Big Bear Lake. You can savor many different cuisines and find the perfect gift. At the Copper Q, you can do both those things and more. Are you looking for a gourmet recipe to wow your family and friends? Take in one of their weekly cooking demonstrations where you get to watch the chef prepare a unique creation, try a sample of the finished product and take home the recipe. Best of all, these cooking demos are free! How about trying something a little more ‘hands-on’? The Copper Q offers periodic group cooking classes that feature a complete meal, including dessert, that is tailored for the season. Why not grab a friend and spend an afternoon learning to cook delicious and unique recipes? The Copper Q also offers take out fare including quiche (very good! ), soups, pastries, espresso and more! What’s more, you can sit outside and enjoy the live entertainment of local musicians (weather permitting) on many weekends. Did I mention that Copper Q is also an amazing kitchen store? They feature high-end small appliances, cookbooks, kitchen gadgets and a variety of chef’s tools. There is truly something for everyone. The Copper Q in Big Bear Lake’s Village is a truly one-of-a-kind culinary experience! RS Vacations invites you to come and stay with us in beautiful Big Bear Lake and enjoy all we have to offer, including a visit to this fun and unique store!